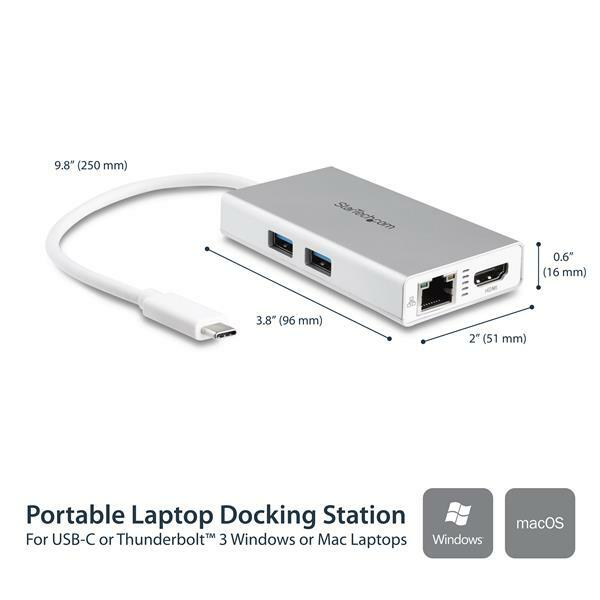 This sleek USB-C Multiport Adapter with HDMI combines the capability of three single-function adapters into a portable docking station for your laptop. 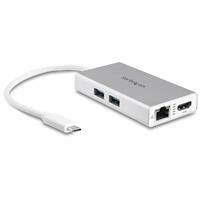 You get the convenience of a USB-C to USB adapter, USB-C to Ethernet adapter, and USB-C 4K HDMI adapter all in one portable solution. 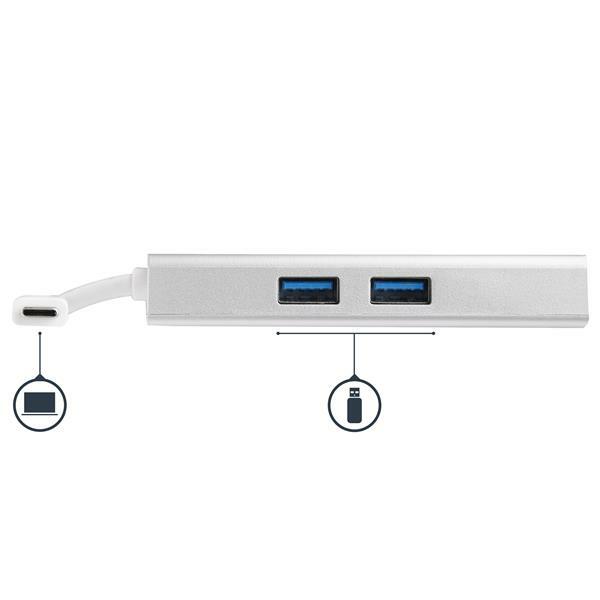 And, with support for 60W USB Power Delivery 2.0, you can power both the adapter and charge your laptop at the same time. 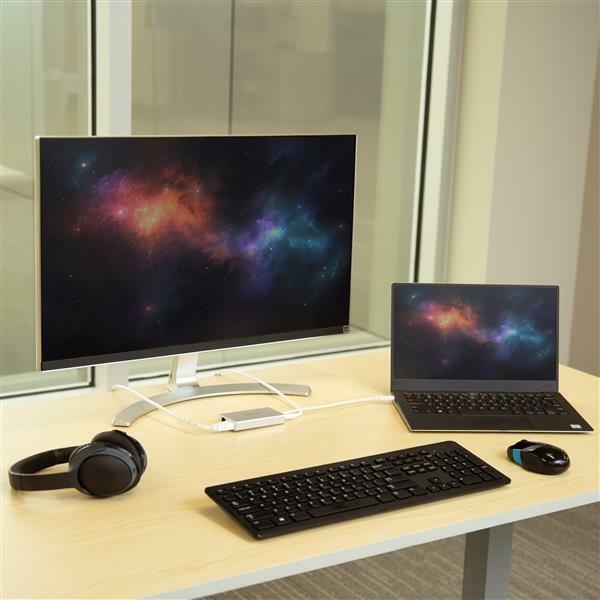 The versatile USB-C adapter lets you create a dual-monitor workstation virtually anywhere, providing 4K Ultra HD (3840 x 2160p) HDMI output with 30 Hz refresh rate and audio, two USB 3.0 ports, and a Gigabit Ethernet port, with support for USB Power Delivery 2.0. 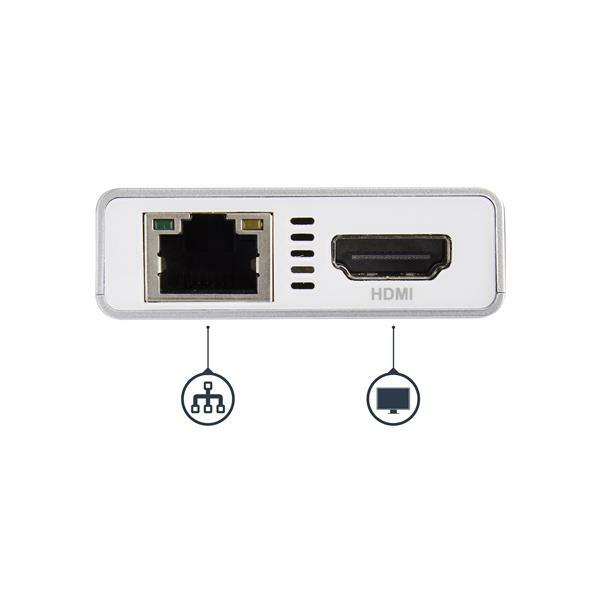 The Gigabit Ethernet port with support for Wake-on-LAN (WOL), jumbo frames, VLAN tagging, and Energy-Efficient Ethernet, delivers a reliable wired network connection, ideal for areas with limited Wi-Fi access. 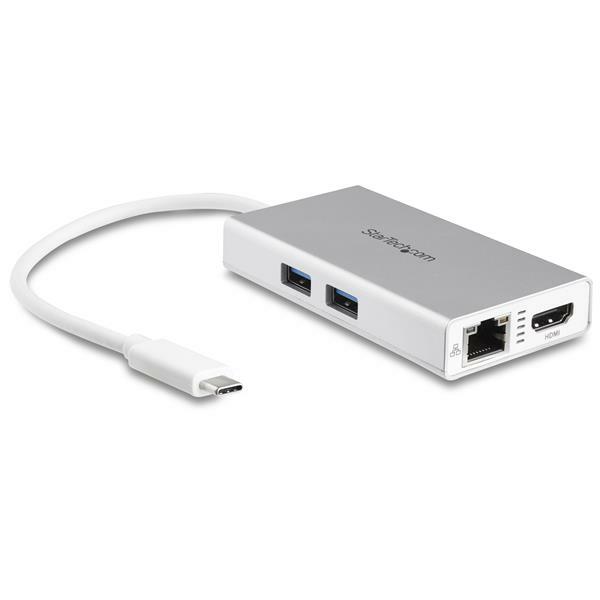 Plus, with two additional USB 3.0 ports (USB Type-A) you can connect productivity devices like your mouse and/or flash drive. 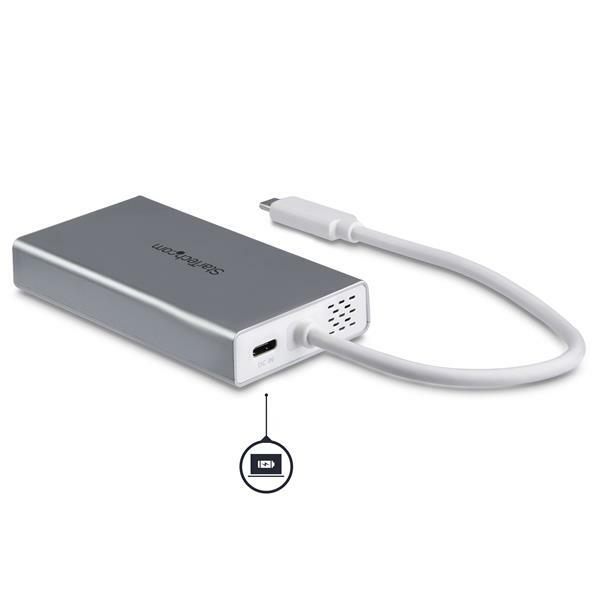 Ideal for mobile use, the compact multiport adapter supports USB Power Delivery 2.0 (PD 2.0), so you can use your laptop’s USB-C power adapter to power both your laptop and the adapter. 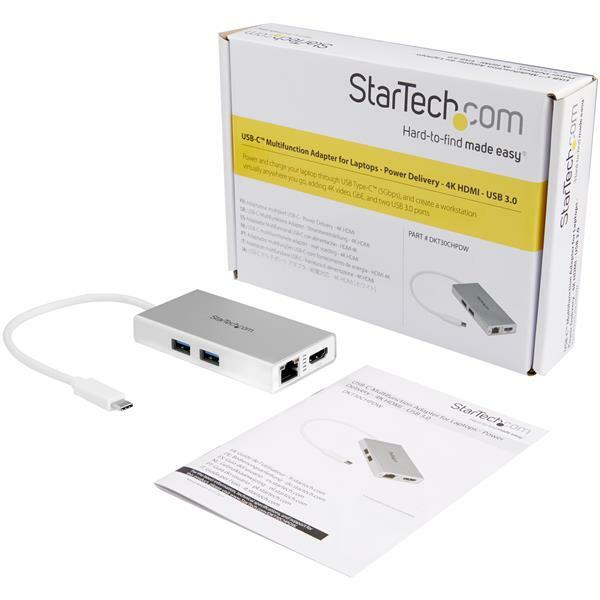 The adapter also features an integrated extended-length USB-C cable, for added flexibility in connecting to your laptop, which means one less cable to carry with you. The DKT30CHPDW is backed by a StarTech.com 3-year warranty and free lifetime technical support.